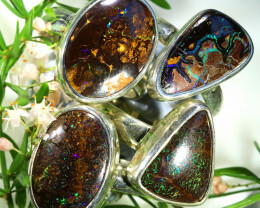 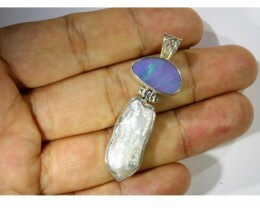 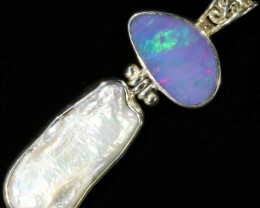 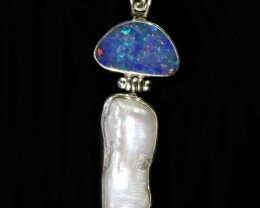 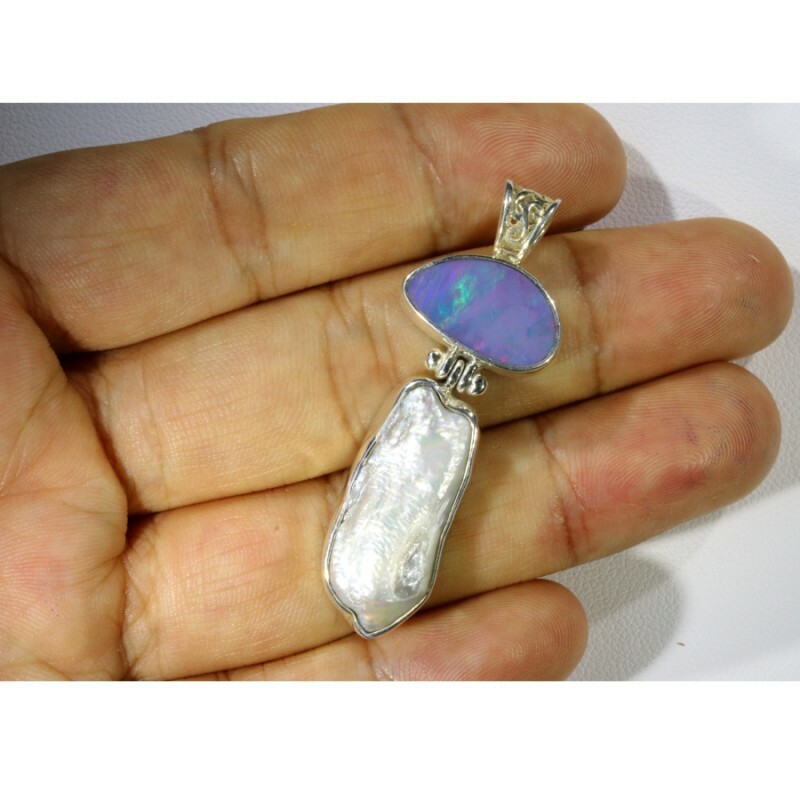 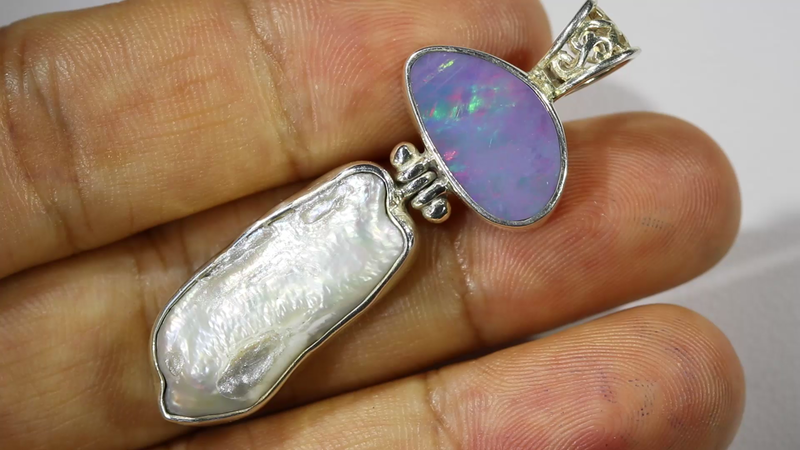 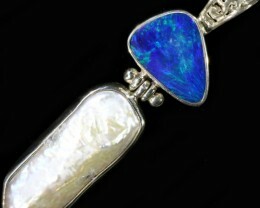 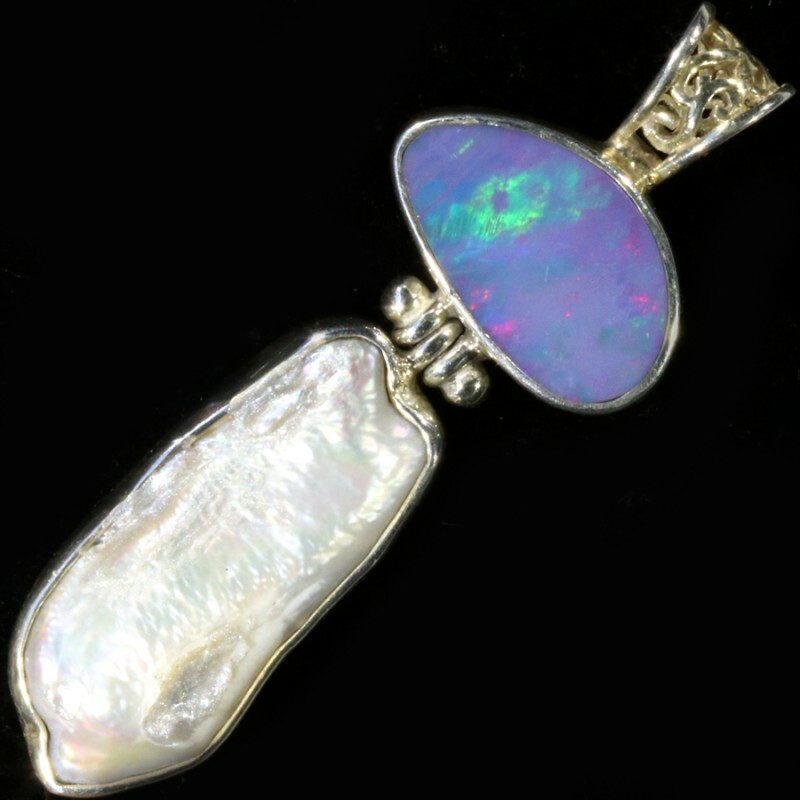 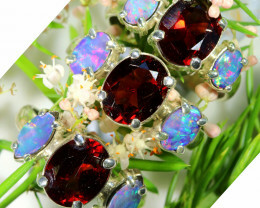 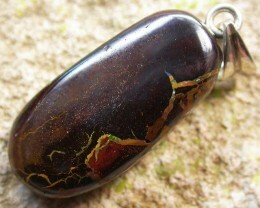 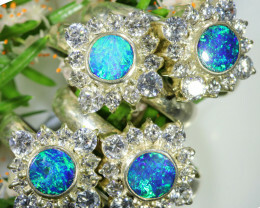 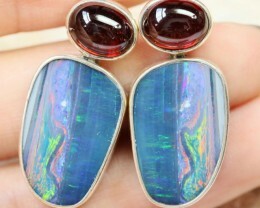 This is a doublet opal made from natural crystal from Coober Pedy and backed on to ironstone from Queensland to look like expensive black opal. 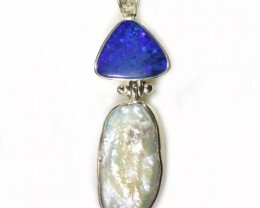 A fresh water Biwa pearl from China has been added . 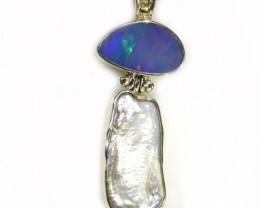 Biwa pearls were originally freshwater pearls cultured in freshwater mussels rather than oysters, from Lake Biwa in Shiga Prefecture in Honshu, Japan. 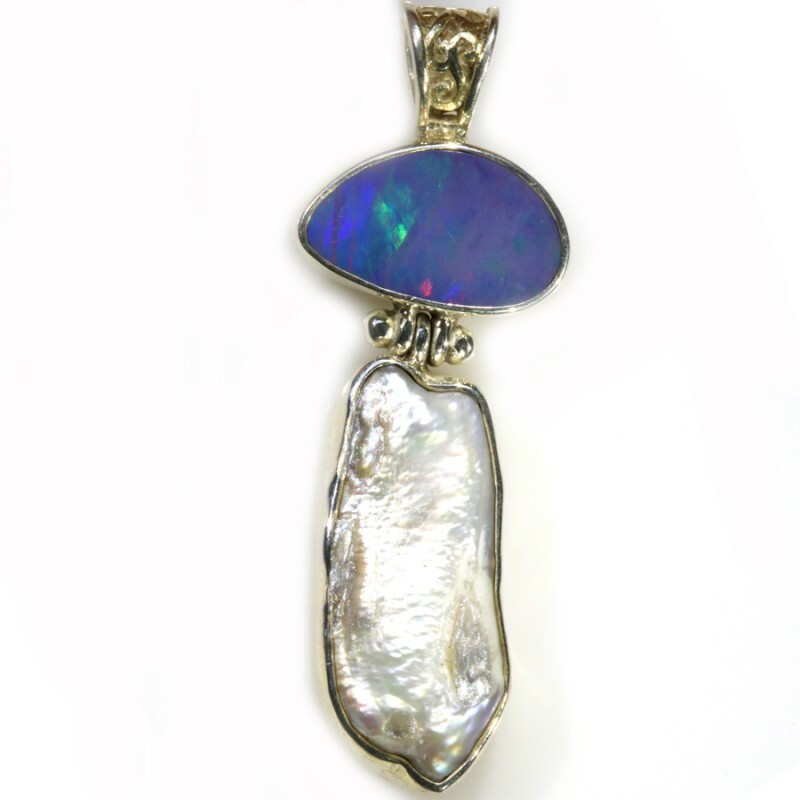 These were once so dominant in the marketplace that the term was applied to all freshwater pearls, including those from China. 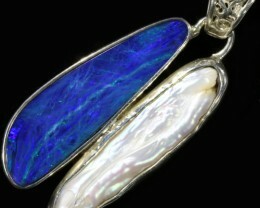 With China now dominating the freshwater pearl market, genuine Biwa pearls from Japan are rare.